Researchers were surprised at how different infected and uninfected cells looked. Washington: A recent study has noted that Zika virus infects the very cells that are supposed to protect the body from infection. Aaron Carlin, first author of the study said, "We know Zika virus destroys a number of cell types, particularly in the brain, but we don't yet understand how it causes cells to die or malfunction. So this loss of general gene transcription and identity we saw in macrophages could also be crucial when a neural stem cell is trying to develop into a new neuron." The team of researchers developed a method for tagging the Zika virus inside live cells, and a mechanism for sorting tagged (infected) and untagged (uninfected) human macrophages. Many previous viral studies relied on dishes of cells that had been exposed to the virus, but not necessarily all cells were infected. As a result, the cellular effects measured in a laboratory "infection" are often a mixture of what's going on inside both infected and uninfected cells. "If your goal is to see what a virus is doing to a cell, you need to focus on only infected cells to get true representation," Carlin explained. Christopher K. Glass, one of the researchers said, "We were surprised at just how different infected and uninfected cells looked, in terms of the genes they had turned on or off, even two cells next to each other." This approach provided a more accurate account of Zika's effect on macrophages and revealed that the virus suppressed gene production in the cells by two methods. 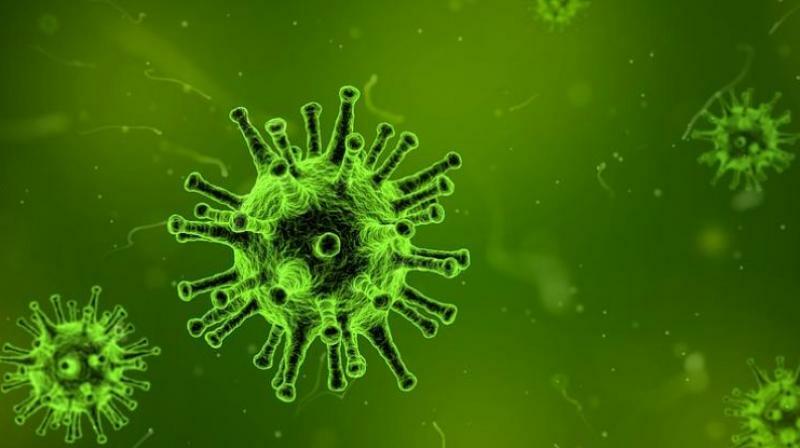 First, the virus specifically blocks hundreds of macrophage genes that should be stimulated by interferon, a molecule that triggers an immune response. For example, the IFITM1 gene, which inhibits Zika virus, is expressed 73-fold less in Zika-infected cells than in neighboring uninfected cells. Second, Zika infection leads to general suppression of gene production because the virus targets RNA Pol II, a crucial part of the cell's gene transcription machinery. The loss of RNA Pol II is especially notable at genes responsible for macrophage function and identity. Collectively, these approaches allow the Zika virus to stop macrophages from making many genes involved in immune cell recruitment and anti-viral defense. The research team is now interested in applying their new sorting technique to cells infected by other viruses. They also hope to examine other cell types infected by Zika virus, such as neural stem cells.